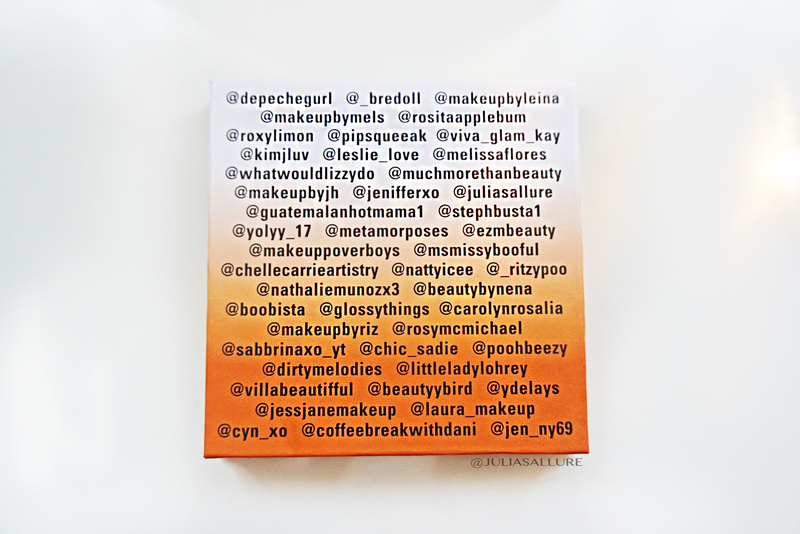 On the front and back of the palette itself are the names of all of the instagrammers who have been mentioned on the palette. 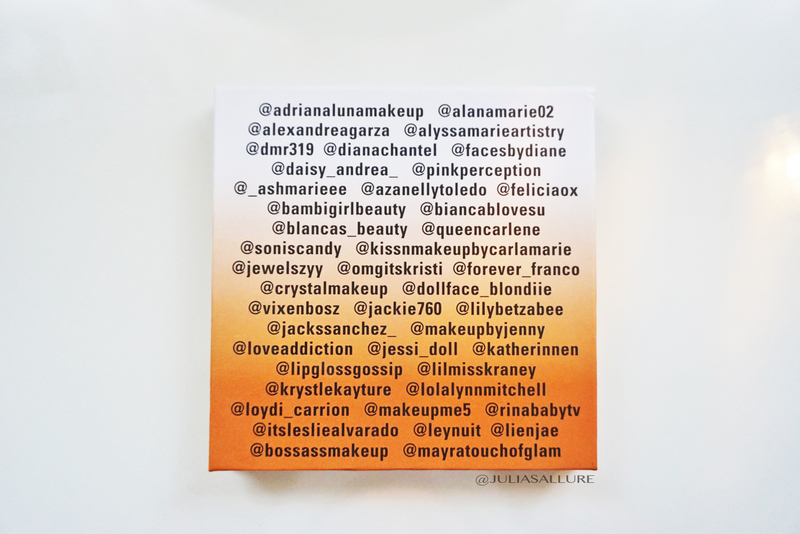 When you open up the palette there is a nice little mirror and a “thank you” note to all of the instagrammers who have helped out the company. Very sweet! 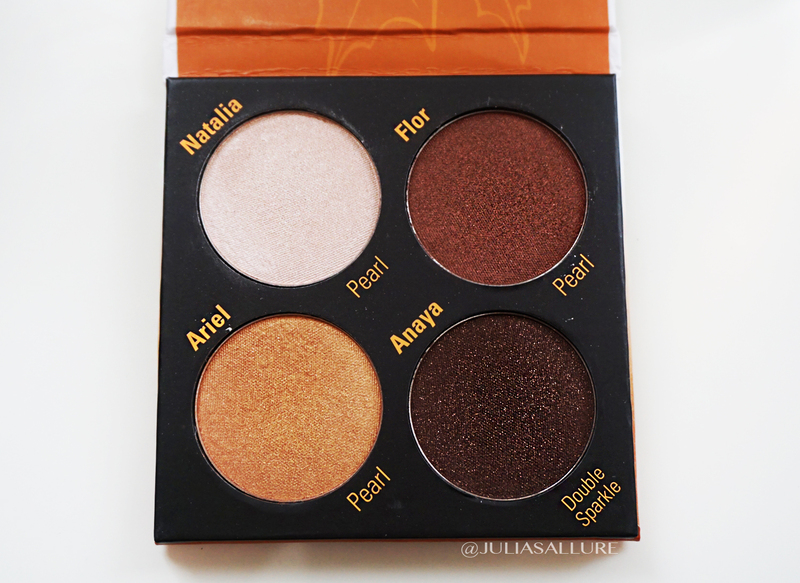 Here are the four beautiful eyeshadows included. 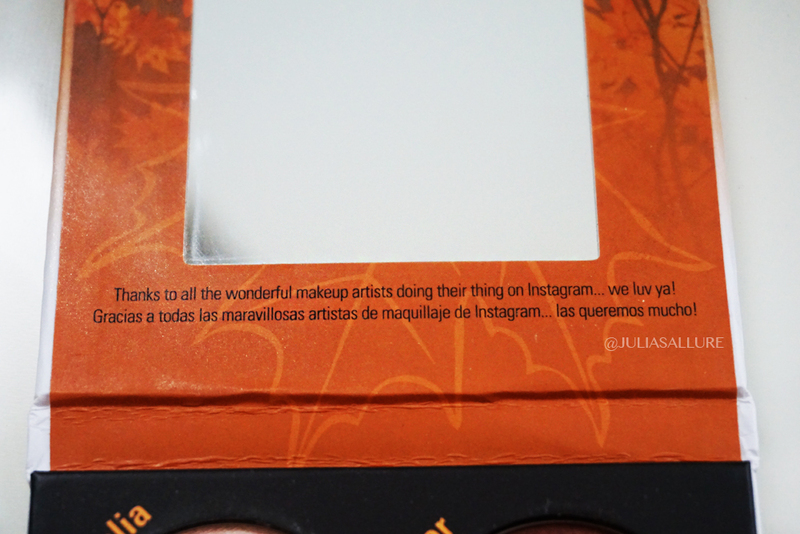 They are in an extra large pan – a bit bigger than the MAKE UP FOR EVER ones. 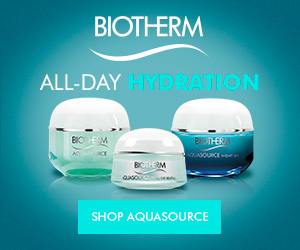 You are getting a ton of product! 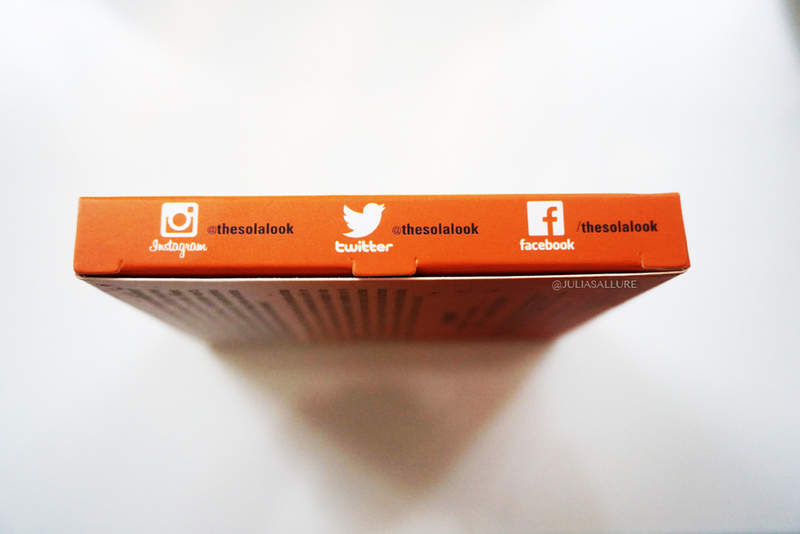 (They are 0.14 oz each) The shades are all neutral which I personally prefer as they will be more wearable and they are all in metallic finishes – no matte shades here. There is three “Pearl” finishes and one “Double Sparkle” finish. 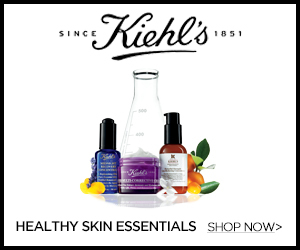 Natalia – Inspired by the look of hourglass sand on a tropical beach, Natalia is light on the eyes and appealing to all. Flor – Although not floral in appearance, her beauty is encompassed by a reddish clay tone and a hint of sparkle. 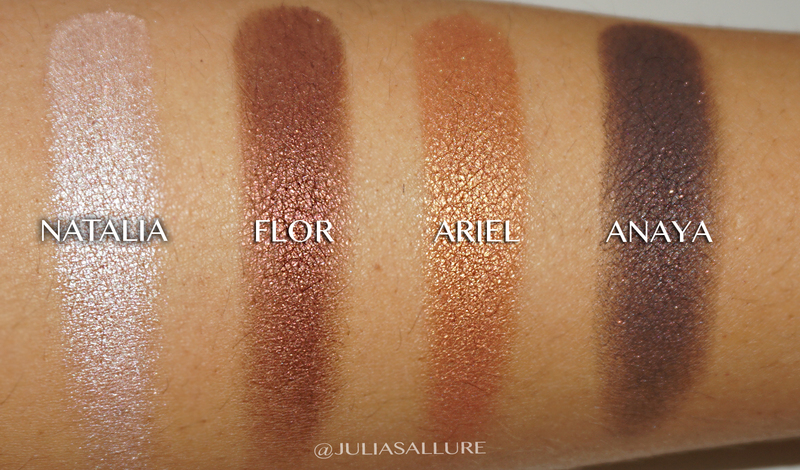 Ariel – On the search for a light bronze shade to beautify your eyes? Ariel is proof that the search is over. Anaya – She sparkles twice and is twice as nice. A true java shade that will enhance any eyeshadow creation. They’re all extremely pigmented and buttery! 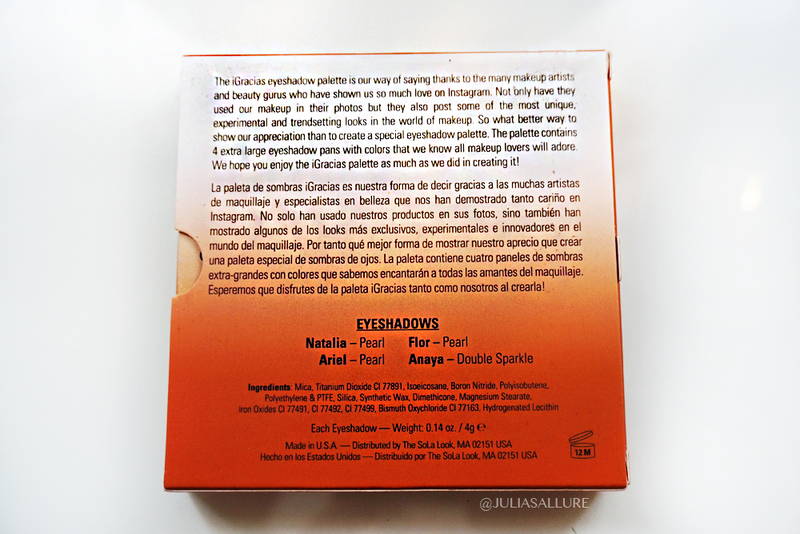 You can just tell even by the swatches that they are great quality shadows. I love the colors! I would have loved to see a matte shadow included but I’m hoping they will extend their eyeshadows as I really love what I’m seeing so far! 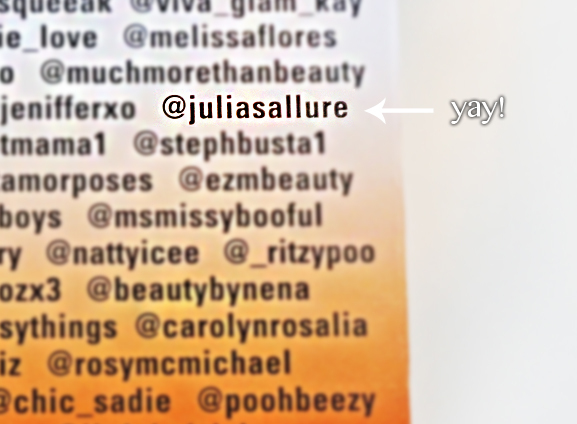 Overall it’s a great palette and I am beyond honoured to have my name written on it – it’s truly surreal. 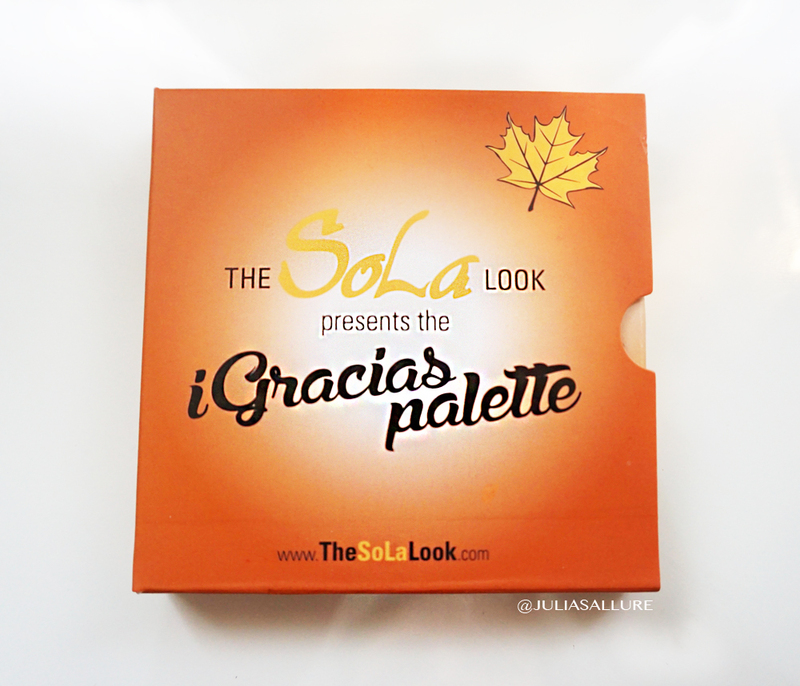 Thank YOU to The Sola Look.